I’m one of those lucky garden writers who receives plants from several plant wholesalers to test before the plants are introduced to the public. The companies—Proven Winners and Bailey Nurseries this year—use feedback from writers (and many other plant testers) to make sure the plants will perform well in home gardens. These are plants that you will likely see in nurseries and garden centers next year. Maybe I’m getting better at growing these new plants or maybe this is just a particularly good year for introductions, but the plants I tried this year were overwhelmingly great. 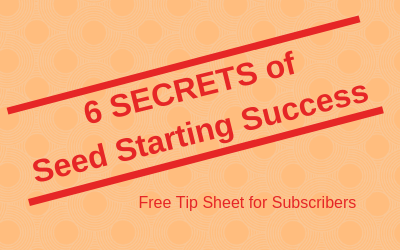 Here are five that you may want to look for next year. Campfire bidens blooms weaved around Autumn Joy sedum in my garden in June. Campfire™ Fireburst bidens was one of the most commented on plants when my garden was on a tour earlier this summer. 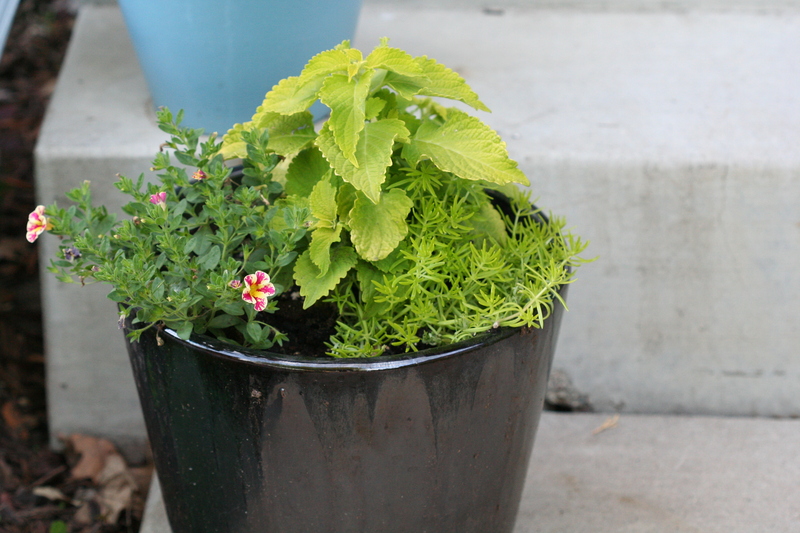 The bright yellow and orange flowers add a dainty element to containers. The blooms were prolific and the plant bloomed most of the season. 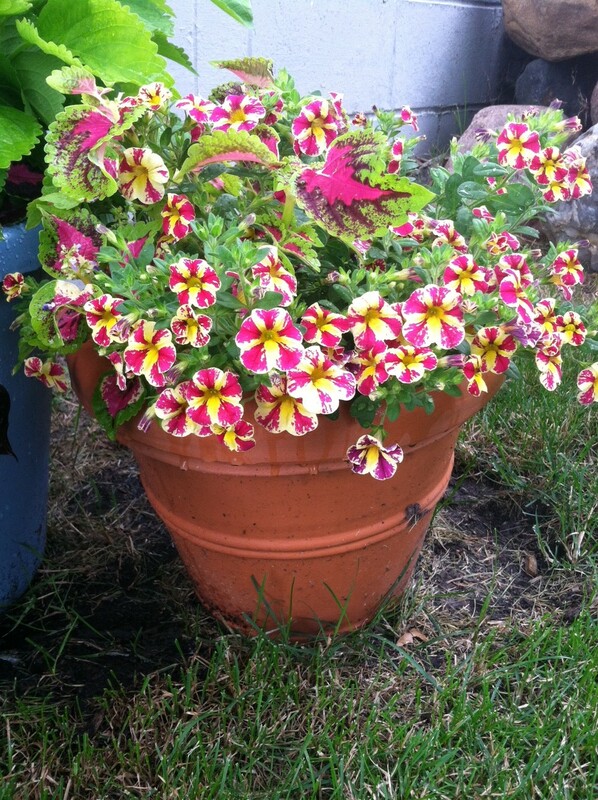 They took a bit of a break in August, but revived with some fertilizer and more attention to watering. Holy Moly calibrachoa blended nicely with pink and green coleus. Superbells® Holy Moly™ calibrachoa is a cousin to Superbells® Cherry Star, which I loved for its bright pink and yellow petunia-like blooms. Holy Moly is predominantly yellow with red-pink accents. 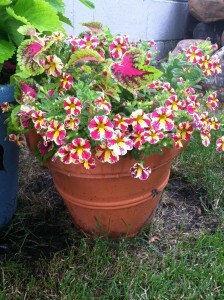 It is a prolific bloomer and looked fantastic in several containers. This calibrachoa is known for continuing to bloom even in the fall, and that certainly proved true in this warmer-than-average October. The plant took a break in September, but has been blooming away since then. 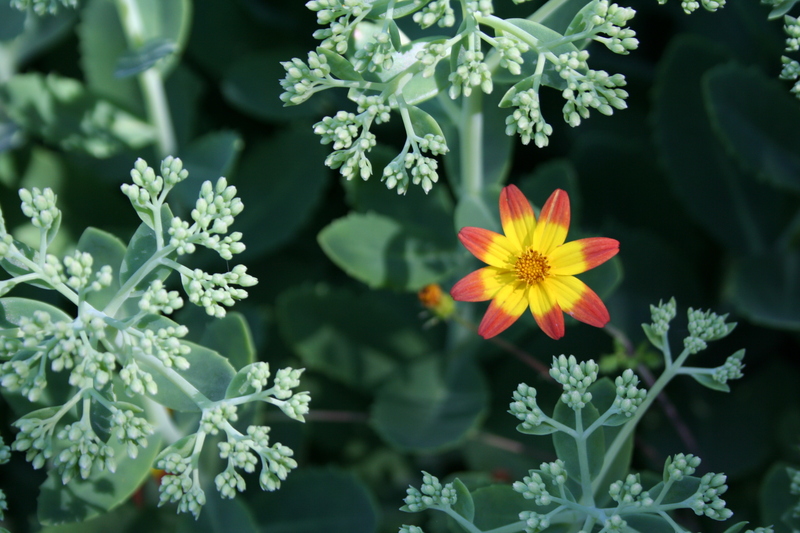 Another container plant I really liked was Lemon Coral™ sedum, a short, chartreuse annual sedum. I used the plant in containers and it added a textural element as well as brightness. This sedum can handle part sun and is great for brightening up a shady corner. Some other garden bloggers have commented that the plant is a bit too aggressive, but I grew it only in containers and did not find that it took over. That may be because the containers were usually in part shade areas. I’ve never been a huge fan of potentilla, but I really liked the look of the new First Editions® Lemon Meringue™ potentilla from Twin Cities-based Bailey Nurseries. The blooms on this plant look like tiny, yellow roses and the foliage is neat. The plant grows 2 to 3 feet tall and wide, making it a good option for smaller landscapes. Potentilla is completely hardy to northern climates and virtually maintenance free. This looks like a great addition to potentilla options. 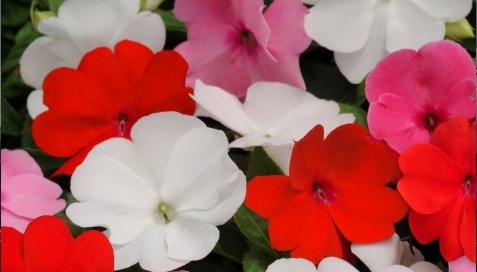 The last plant I’d like to recommend is not new per-se, but is a recent introduction for those who love impatiens but are concerned about downy mildew on impatiens. Northern Gardener Plant to Pick columnist Debbie Lonnee recommended the Divine series of New Guinea impatiens in her column. Since my garden was on a tour and I have a lot of shady spots, I bought an entire flat of them to use to brighten up parts of the garden. They were a bit slow to get going, but once they took off they were gorgeous. (For the tour, I grew some of them in containers, which got them to a bigger size faster, then planted them on the edge of some of my tree, shrub or perennial beds.) While the small frosts we’ve had recently, have nipped some of the Divine impatiens, many are still going strong. Which plants did well in your garden this year? Disclaimer: I was sent some of these plants for free, but am under no obligation to write about them and have no financial relationship with Proven Winners or Bailey Nurseries.